My inspiration for starting to write this book many years ago was observations made while driving along the Interstates with my family, and thinking that there was much to see along the highways. And realizing that most travelers were oblivious to these features. 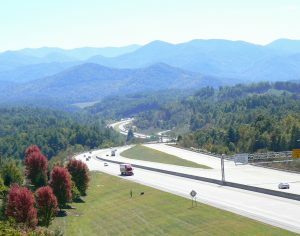 “The Interstates are so boring!” Well, they aren’t if you know what to look for. Not finding anything published to satisfy my needs for more information, I vowed to write it myself, and make it available to anyone who can use it—for free. So here it is—free of charge and free from advertisements. 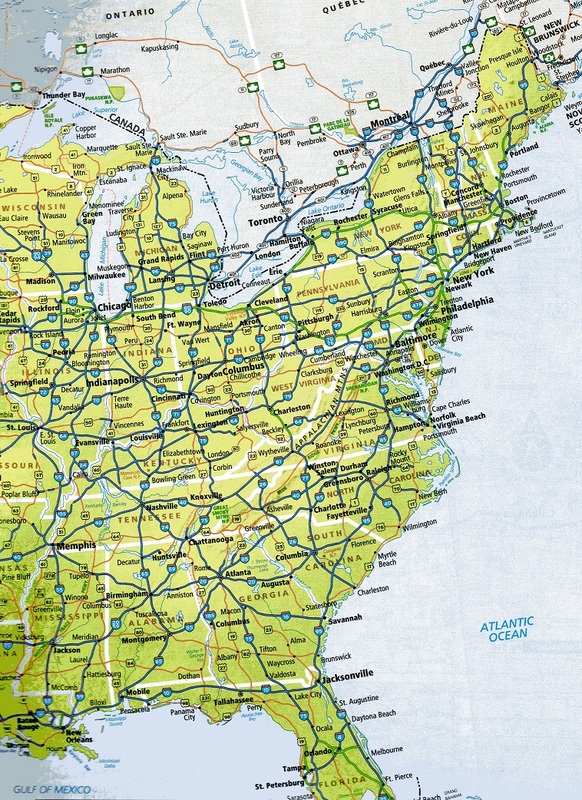 Interstate Landscapes — East: Physiography, Geology, and Ecology is a digital field guide that people can take with them while traveling on our eastern Interstate highways, and use to alert themselves to the natural features that they can see along the way, and why those features are there. These features include the roadside rocks and geology, the effects of plate tectonics, landscape physiography, the nature of the highway’s rivers and their valleys, the distribution of local lakes and their associated wetlands, and the types of roadside plant communities and roadside wildflowers to be seen. There is an emphasis on the regional diversity of the geology and physiography (i.e., physical geography or topography) that the Interstates are passing through, together with explanations of how these landscapes are regionally classified and how they developed. Emphasis is also paid on the regional forest types of the eastern U.S., including their genesis and relationships.